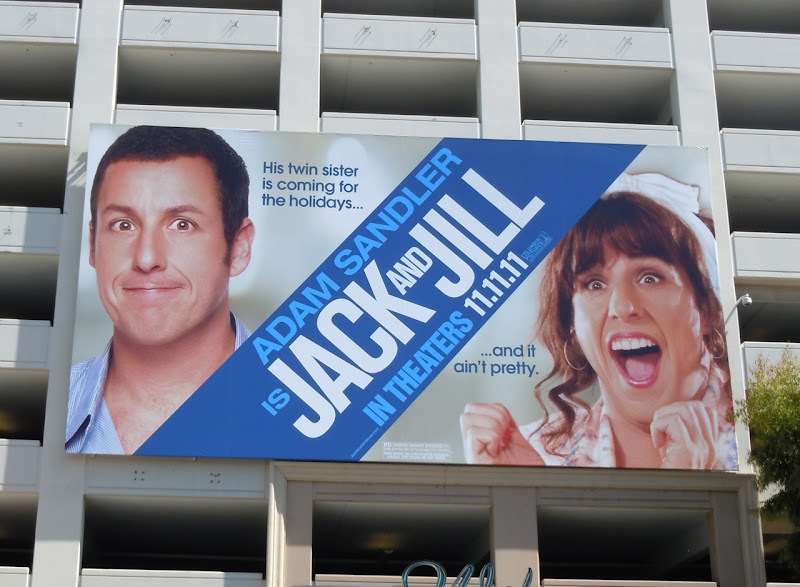 This holiday season it looks like we're in for the treat, with double the Adam Sandler inspired hilarity. 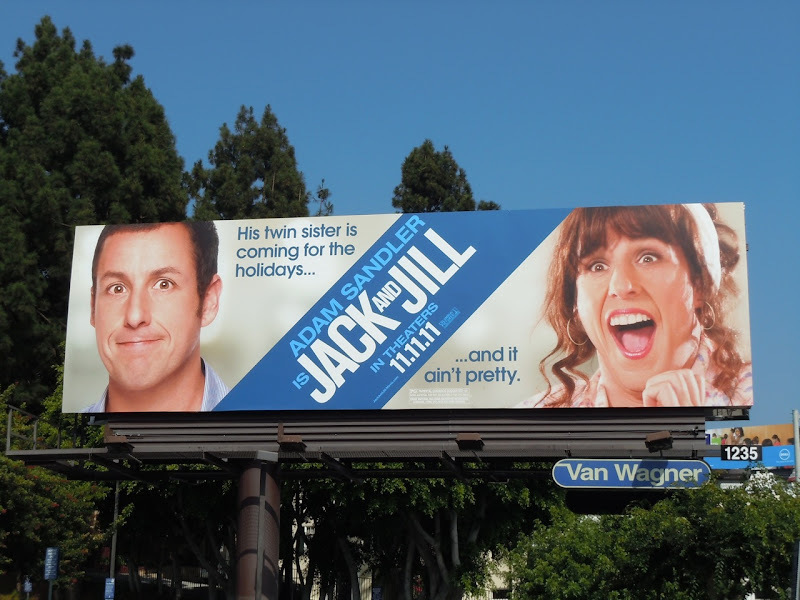 The comedian is playing twins, but in a twist on the usual format he's dragging it up to play his identical twin sister, and the result ain't pretty. 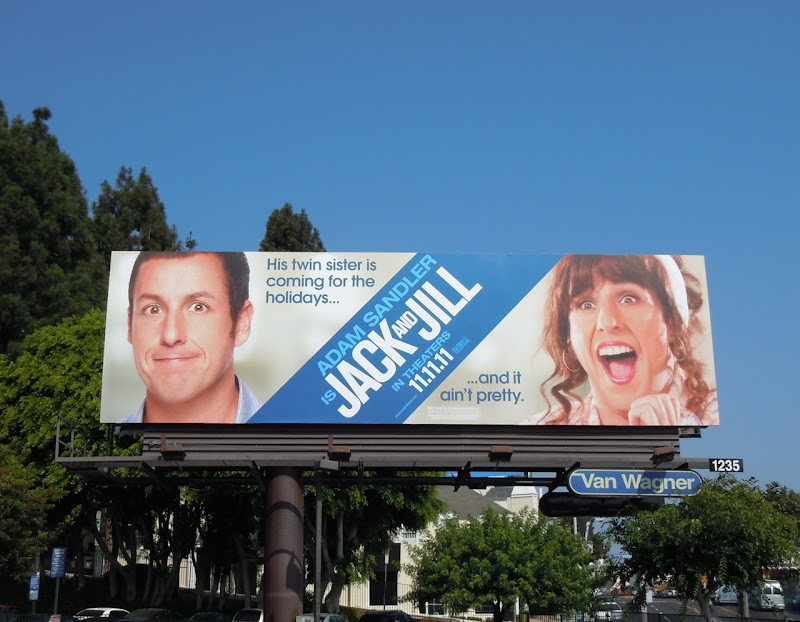 There's something incredibly fascinating about these ads for Jack and Jill and they really do make you do a double-take when you see them. 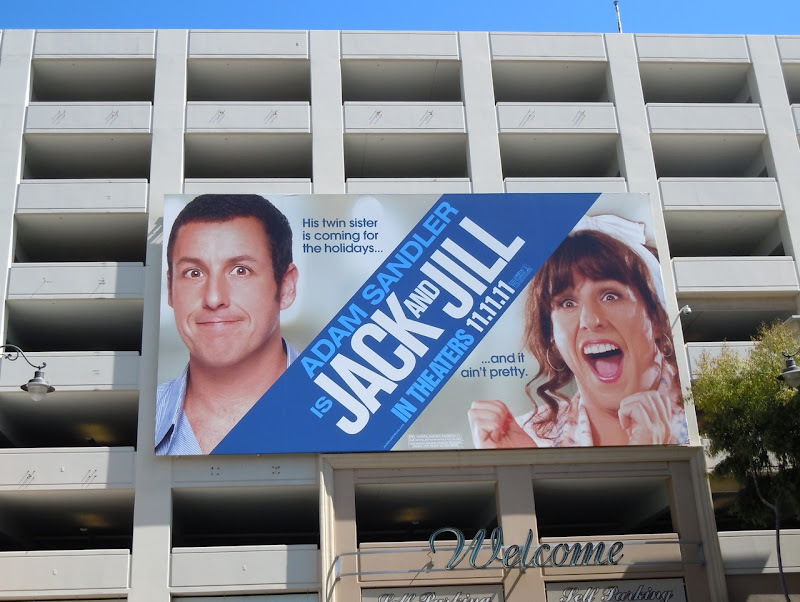 These fun comedy billboards were snapped along Sunset Boulevard and at The Grove shopping center in L.A. on September 28, 2011.